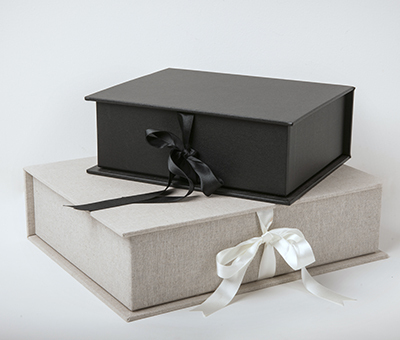 Image Folio Boxes are a handmade, clam shell style presentation box and are available in 2 sizes and 2 different materials. 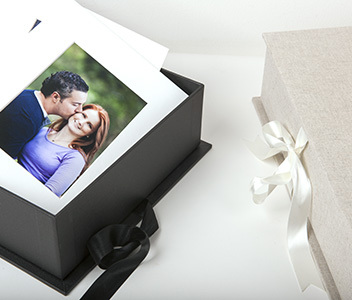 Each Folio Box can hold up to 20 matted mounts. You can order them with the mattes or without. The matted mounts come with pre cut windows and the photos easily slip in. Portfolios have a ribbon tie closure and a USB insert can be added for $22 when placing your order.